965 poker players joined Event #51 of the 2010 World Series of Poker to compete for a prize pool of over $2.6 million. 90 places were paid with the biggest chunk of the pie going to 27 year old poker pro Ryan Welch of Henderson, Nevada, who won his first ever WSOP gold bracelet and a first place prize of $559,371. “It feels really amazing. It really hasn’t quite sunk in yet, but I’m sure it will, in a while. But it’s the most amazing thing. 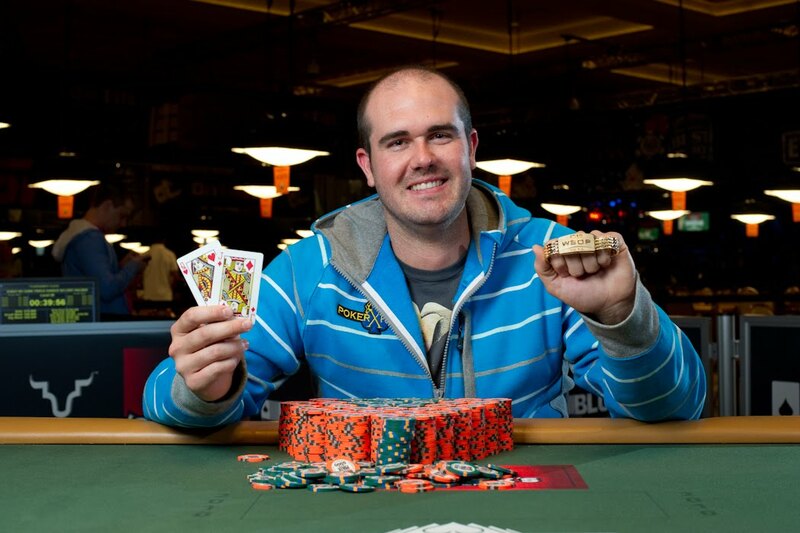 It’s the goal I have always had as a poker player,” explains Ryan Welch. Coming in second was 26 year old poker pro Jon Eaton of Las Vegas, Nevada, who is actually a good friend of Ryan Welch. “Obviously, Jon is a great player. We know a lot about of each other. We play together all the time, even online. I could not have asked for a better final table and to play heads up against each other was really special,” explains Ryan Welch. Jon Eaton won $344,830 for his second place finish. The third-place finisher was Guillaume Darcourt from Suresnes, France, marking his first time to cash at the WSOP worth $223,459. The fourth-place finisher was Will “the Thrill” Failla from Smithtown, North Carolina, who won $163,532. The fifth-place finisher was Bradley Craig from Cleveland, Ohio, who won $121,451. to cash this year, which paid $91,407. The seventh-place finisher was Tommy Vedes from Fort Mohave, Arizona, who booked his eighth WSOP cash with a $69,647 payout, making his winnings over half-a-million dollars. The eighth-place finisher was 24 year old poker pro Noel Scruggs from Del Mar, California, who marked his second time to cash at the WSOP, which paid $53,694. The ninth-place finisher was 36 year old poker pro Tad Jurgens from Tempe, Arizona, who cashed for the seventh time this year and got paid $41,842. Former WSOP gold bracelet finishers who cashed in this event included – Gavin Griffin (27th), Vitaly Lunkin (31st), Peter Traply (36th), “Captain” Tom Franklin (39th), David Singer (46th), Ken Aldridge (52nd), William Haydon (55th) and Alexander Kravchenko (59th).